Bolivia is a country full of diverse cultures, incredible scenery and world-class climbing. This year’s team will arrive in the world’s highest capital city, La Paz, where they will explore the urban side of Bolivia before heading to the more remote Condoriri Group of the Cordillera Real mountain range and then on to Bolivia’s highest point, Sajama 21,464ft/6542m. Ripe with opportunities for adventure, Bolivia awaits! 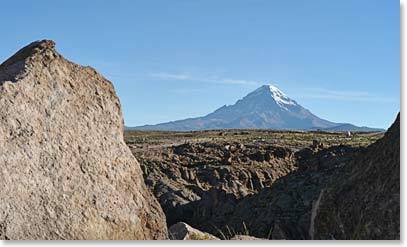 Follow the daily dispatches as our group enjoys the unforgettable country of Bolivia.